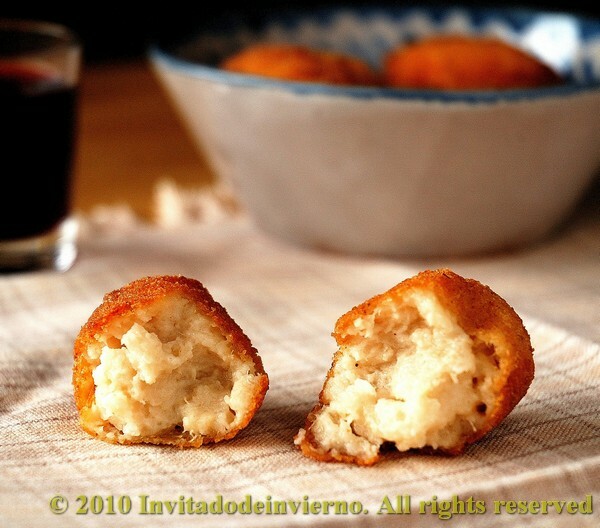 In Spain there are few dishes as traditional as croquetas. 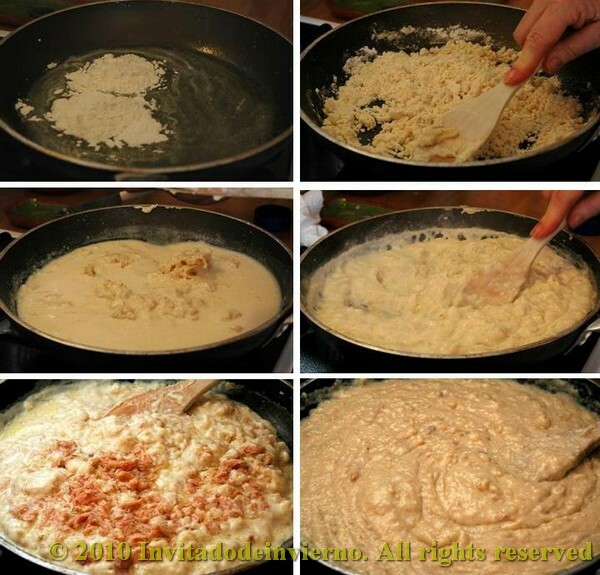 Imagine a very very thick bechamel sauce, almost solid, with some garnish added, like crumbled tuna fish. You take pieces and shape them into oval patties, then coat them in egg and breadcrumbs and deep-fry them in olive oil like a beignet. 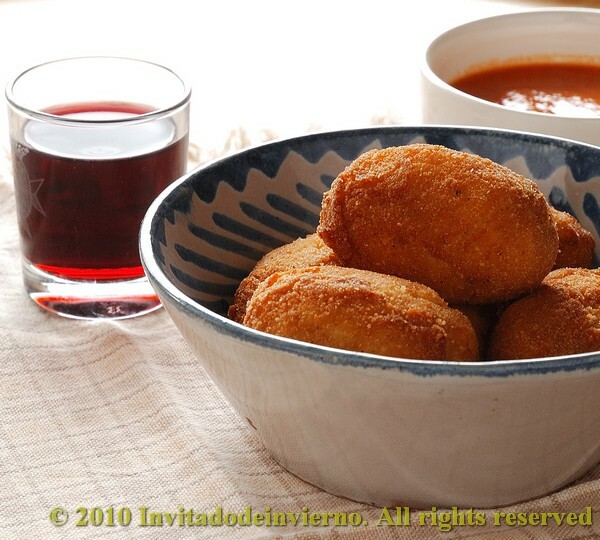 Well, there you have croquetas, comfort food at its best, common to all Spanish regions. Also served as a tapa everywhere. And good for absorbing any leftovers in the house, as you can add flaked cooked fish or meat, crumbled cheese... a wide variety of things. This is the typical recipe for which each family has its own version, which is supposed to be the best, of course. It used to be taught from mother to daughter. Or to son nowadays... I hope. The way I prepare croquetas is my mother's, it's understood. And she learnt it from my grandmother. I don't know if it's better or worse than others, but my children love them. I haven't made croquetas too often, because my mother is kind enough to prepare them for my children, therefore I wasn't really an expert... till now. So the other day I asked my mother to come over to my place and prepare the dough or thick sauce or... I don't know how to call it. And here it is. Melt the butter and heat along with the oil on a large frying pan. When hot, add the flour and stir for it to toast, eliminate the raw flour taste and absorb the fat. Mash the lumps with the back of a wooden spoon, till you have a crumbly mixture and all the fat is absorbed, around 5 minutes. Then add half of the milk and stir continuously for a while, while breaking the lumps and thickening the mixture. Add a table spoonful of salt. When the mixture is thickened a little bit, add the rest of the milk. If too many lumps are left, you can just use a hand mixer to break them and make the mixture more even. Add the tuna garnish, previously drained and flaked, and keep on stirring to thicken. When the mixture starts to separate from the pan walls and it's thick enough to shape it, turn the heat off (yeah, I know this is tricky if you've never seen the real consistency. But you have to be careful, if the dough is too runny, the croquetas will burst the coating on frying... they should be solid enough). Try the salt and add more if necessary (it will be). Add the nutmeg and stir. Pour the whole thing on a shallow dish to cool. Cover with a plastic wrap that touches the surface, so that no crust is formed on cooling. When the dough is at ambient, take small portions with a table spoon, like in the photos, and use 2 spoons to shape them into oval patties. Beat a 2 or 3 eggs in a container and coat the patties in egg. Then roll them in breadcrumbs. When my sister and I were small we used to help my mother with the coating task. When all the croquetas are prepared, heat the oil in a deep pan. Then fry them in very hot oil (I fry them in a deep-fryer, at maximum temperature of 190ºC). People usually prepare a lot of them and freeze a part for later use (isn't it nice to have a ready-to-be-fried appetizer if you have some people coming unexpectedly?). I love them dipped in a good homemade tomato sauce, like they're served at many bars. And also I want to send this very traditional recipe to the Culinary Olympics 2010, hosted by Blogger Aid Changing the Face of Famine. BACFF is hosting an event to promote both the sport of food and their mission (to be actively promoting the allevation of world hunger). 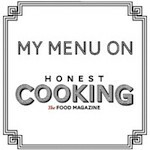 They invite you to participate and represent your country with a recipe you like. Check here for the conditions to participate! Yum! Those croquetas look and sound outstanding! Thanks for sharing such a special family recipe! I have never tried this technique before but your step by step photographed directions will make it much easier, thanks! thanks also for bringing the Culinary Olympics to my attention as well. 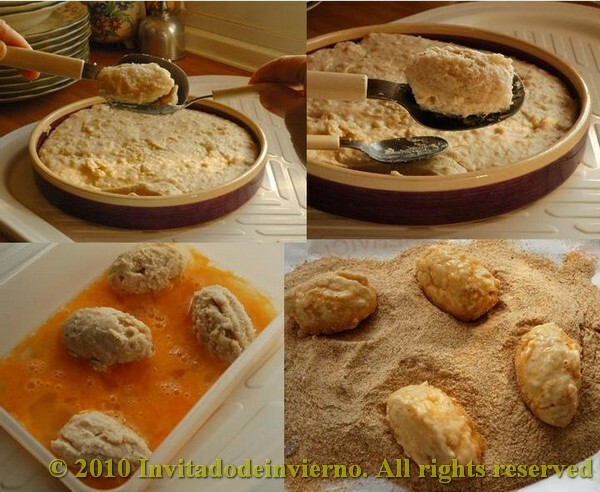 Okay, the photo of the inside of the croqueta is too cruel, it makes me want it now. Beautiful! I am a huge fan of eating in my pajamas! Crispy on the outside and creamy inside. Perfecto! Penny described it already. These are fantastic. I haven't had these for a long time. They're just beautiful. There are few things that beat a good croquete or croqueta as you call it. I always struggle with making them into reasonable shapes though... I usually end up with very weird looking shapes! 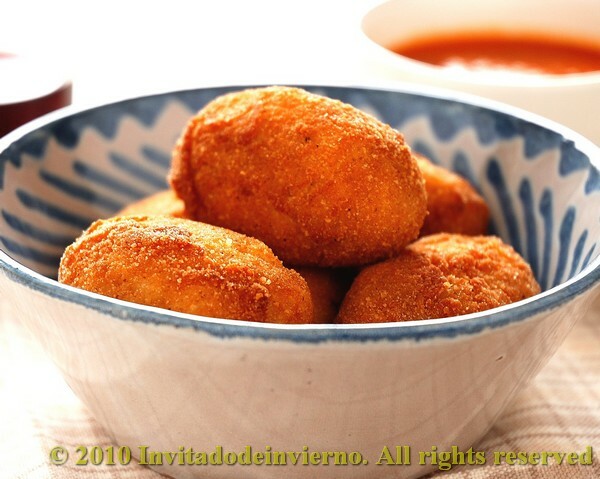 I love croquetas, they are delicious with beer. Your looks delicious. These croquetas look incredible! man! I wish I could have some right now as I am stuck in a terrible snow storm and could easily eat these with a hot, spicy soup! Gorgeous photos as always. we made croquetas after our first trip to Spain five years ago. they were much easier to make than I thought they would be. but i haven't made them since! thank you for the visual reminder why I must get some of these in my stomach soon. I have only had croquetas once it was at a Spanish (Barcelona) restaurant; needless to say, I love them but was always afraid of the amount of work involved. Now I can see that I can divide the tasks and it does not look so daunting! been looking for a recipe like this just like grandma use to make! looks so good! I usually make croquettes the same way, but I add chicken instead of tuna. Yummy! Patty: yeah, we've heard about your storms... hope the weather gets warmer soon! Catherine: Thanks!! thanks a lot for visiting! Claudia: mmm, so they're made over Italy too... I never heard of Italian croquetas, but of course all Mediterranean cuisines are related somehow. Mona: so fun to know all the variations! Miriam, One of my favorite Spanish foods! You can never get enough of croquetas! These look delicious. In the Caribbean we make a a version of this with cod. I saw your beautiful photograph on Learn Photography and Food Styling and just thought that I would stop by to say hello. 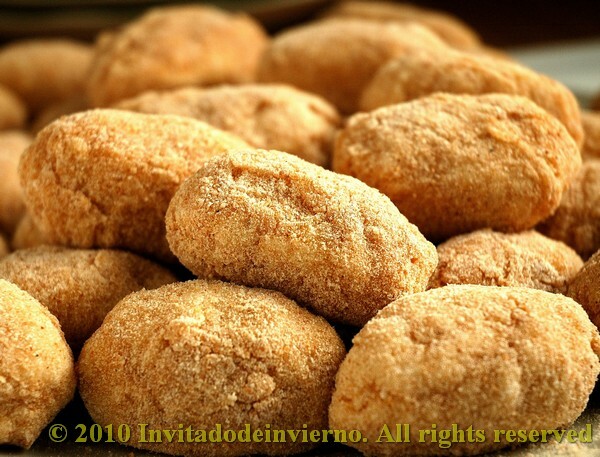 Home-made croquetas.... irresistable.. I can eat it without any side dishes... or rice! Photos are stunning and delish! These look SO good!! I want to make them sometime. My parents live in Germany and they even have thier own version of croquetas there!